Yeah, they do that every year. 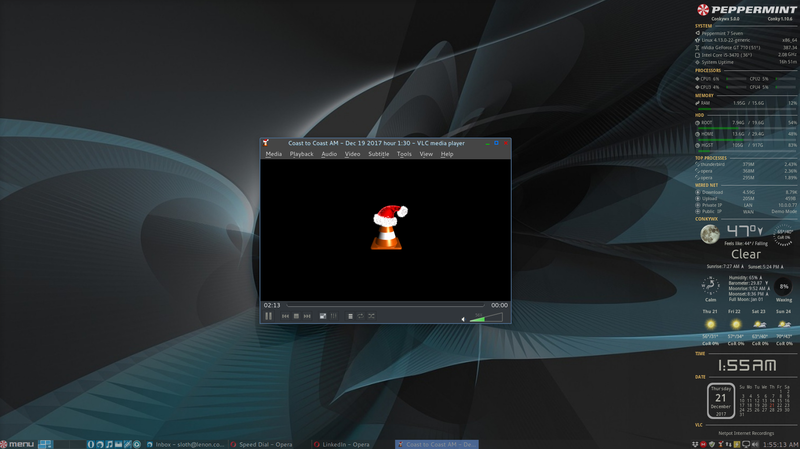 Some icon themes even have the traffic cone with the Santa hat for the GUI during this time of year. Yeah VLC have been doing that for years, rather clever really .. I'm kinda surprised more apps don't build that in, I mean the app only has to keep an eye on the clock.